One of the key points of any yacht survey is the condition of the hull below the waterline and whether or not there has been an ingress of water into the laminate through the process commonly called ‘Osmosis’. I am not going to go into any detail on how this occurs as there have been a good number of books written and many internet articles are available on the subject. This is more an opportunity to share some worthwhile facts with potential buyers of boats – especially older ones (boats that is). The greatest factors affecting the likelihood of osmosis are the types of materials used and the quality of the moulding, with regards to its construction and the conditions in which it was constructed. The first leap forward was during the 1980’s when there began a change from Orthophthalic polyester resins to Isophthalic polyester resins which are now common place and proven less likely to blister. Further to this, Emulsion binders which held glass matt together were found to promote blistering and were changed for a polyester powder binder. During the 70’s and 80’s the quality of the types of materials also varied as moulders sometimes found cheaper materials to remain profitable. Some yachts were moulded in relatively cold, damp sheds which led to moisture entrapment in the laminate during construction. Construction techniques have improved greatly and moulders are achieving accuracy and consistency in their mouldings, avoiding defects such as: poor wet out of the fabric, contamination and poor chemical bonding between subsequent layers. Most are now built in climate controlled workshops with good extraction, low humidity and a near constant quality control. Knowing even a little of the history or pedigree of the yacht you are considering purchasing will enlighten you to the potential problems that you might find. As a yacht surveyor accurately identifying osmosis is crucial, not because it is of structural significance in all but rare cases, but because of the cost implications and the time it takes to rectify it. Boats on the market found with osmosis are considered less desirable and the seller should expect to be open to some negotiation once it has been found, unless it has been disclosed in the yacht’s particulars – which it seldom is. No party in the purchase process wants to hear the yacht has ‘osmosis’ so as the surveyor it is important to be experienced in, not only the identification of it, but the options available for its repair. With regard to the evidence it is not as simple as finding a high moisture content and looking for pimples on the surface, as these can be caused by a number of different factors which are not consummate to the presence of osmosis. The methods of repair don’t have to be immediate and can range in severity and cost and good advice will help shape any negotiations. From my experience working with clients, shopping around for prices for a full osmosis treatment is a must as prices can range significantly, especially when the use of accelerated drying, such as the Hotvac system, is employed. Some yards treat this as a premium service and charge as such, where as others use the system to increase the throughput of boats in the workshops and enable them to work to a schedule. Prices should include the removal of skin fittings and their reinstatement - this might also be an opportunity to replace them for new ones. It’s worth mentioning that a natural drying process, i.e. preparing the hull (peeling & blasting), regularly steam cleaning or pressure washing the exposed laminate and leaving outside, or even undercover, is a slow process and I would expect the hull not to dry sufficiently for a minimum 4 months. If you opt for a natural drying process make sure hard standing and cradle charges are included in the cost of the treatment and be prepared to write off a season afloat. Osmosis can be found in other places on the yacht. It can migrate upwards from the waterline into the boot top area. 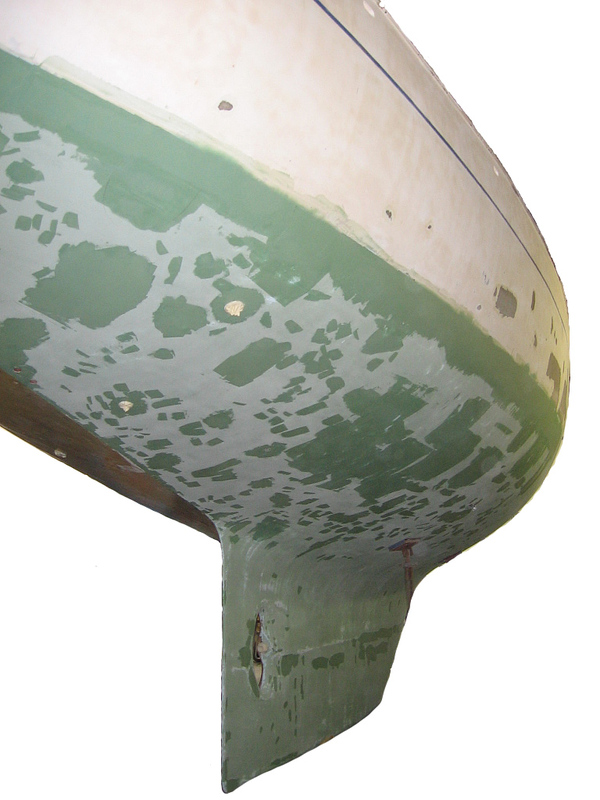 There is a good chance that an osmosis treatment will have to extend 3” to 6” above the waterline which adds expense in refinishing any hull stripes or accurately raising the waterline. Cockpits are prone to osmosis under gratings or in corners where rain water accumulates and subsequently gets warmed by the sun. I have also found blistering where covers have been tied down against the gelcoat for long periods; where the sides of sprayhoods are tight against the cockpit coaming; in freshwater tanks and where warm exhaust water runs down from the exhaust exit. In most of these cases the osmosis is not deep-seated in the laminate and can be relatively quick to repair. Advancement in materials and techniques used in modern boats means there will be less osmosis in the future but we are seeing other inherent problems arising, mostly due to lighter scantlings in the quest for performance and interior space. 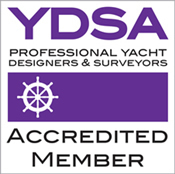 I have run two recognised osmosis centres and continue to be involved in osmosis treatments and its assessment through my work as a yacht surveyor and repairer. If you would like further information and advice on osmosis treatments and its prevention please phone or email me. Hull being faired during full osmosis treatment. 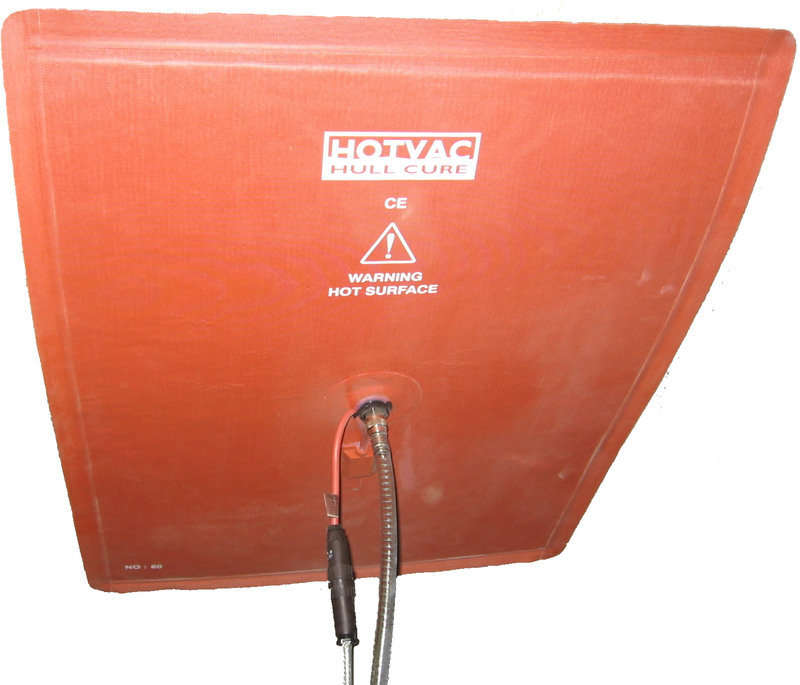 Hotvac heat / vacuum blanket - used for accelerated drying.